Started as part of Immaculate Conception Parish, Newman Club founded in 1930. 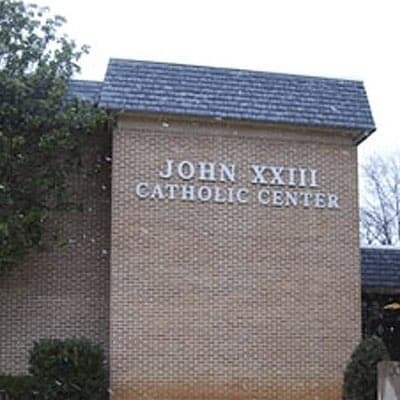 Catholic Center established in 1963, then it became canonical parish of John XXIII with Chapel of St. Jude in 1968; present building 1969. The parish was placed in the charge of the Paulist Fathers in 1973.